Posted November 29, 2016 by Louis Rabinowitz & filed under Episodes. 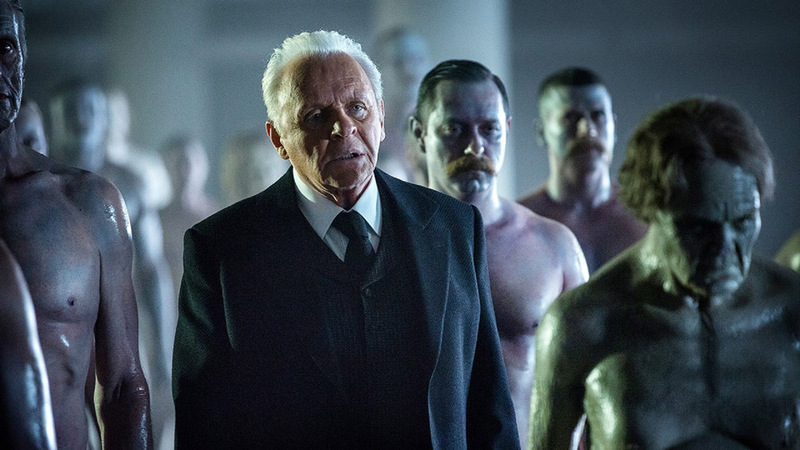 Throughout its first season Westworld has shown how the limiting of memory serves as its own form of oppression, with the Hosts’ recall of their cyclical, futile loops erased to keep them as subservient puppets whose individuality is a hollow fiction. It follows, then, that unlimited memory is liberation – the ability to recognise past traumas and learn from them, which gives us the ability to freely craft our own complicated selves unencumbered by the will of others. Seemingly, that’s what sets apart human from Host. This week’s episode, ‘The Well-Tempered Clavier’, dove deep into that idea as Bernard and Dolores, two of the oldest Hosts in the park, went looking for clarity in their murky pasts and emerged with an answer far less simplistic than that analogy of enslavement and liberation suggests. Clarity was achieved, but at one hell of a price, raising the intriguing question as to whether the awakening of the Hosts is, instead of a positive revolution, an ill-informed descent into something even scarier than the man-made loops of the park. 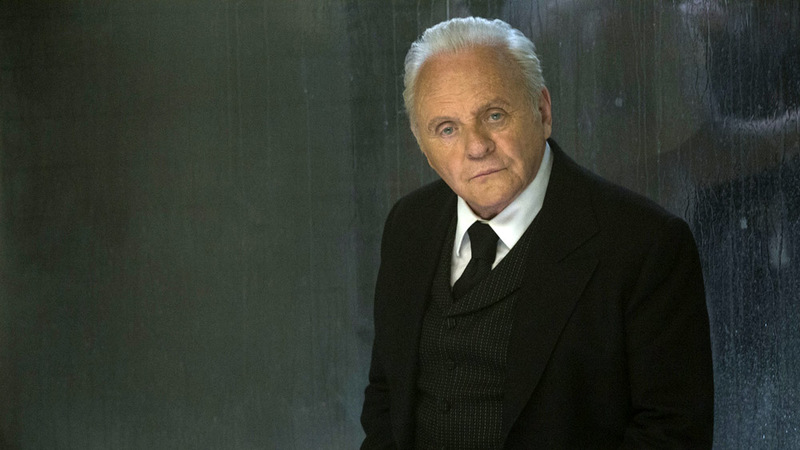 The two plotlines serve as fascinating counterparts, telling a broadly similar story under vastly different circumstances and interweaving carefully to provide a far sharper image of the big picture that Westworld has been building. Of the two, it’s Bernard’s that hits the mark the most, because it manages to function both as a fascinating rumination on memory, but also as a compelling and refreshingly straightforward means of development for the Host. You have to feel for Bernard here, whose entire consciousness seems to unravel as the hollowness of his memories are revealed to him in his search for answers. His defining memory of his son is so fragile that Bernard can ultimately manipulate it once he’s realised that it’s a fiction created for a deeply shallow bit of pathos to provide ‘realism’. 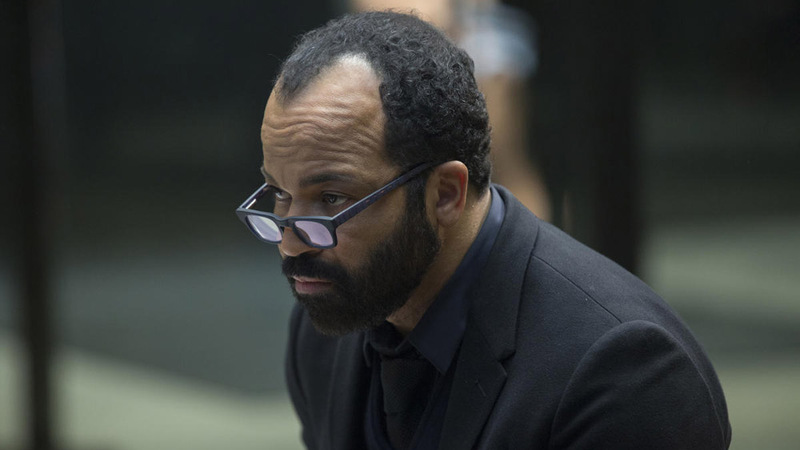 Yet the true tragedy of his story doesn’t unveil itself until Bernard truly finds an answer – that he’s a carbon copy of Ford’s old partner Arnold, who is ultimately doomed to play out renditions of his real life counterpart’s crisis of conscience and failed rebellion against Ford. It’s clear that this has all happened before and will happen again – Ford’s casual order for Bernard to blow his own brains out reminds us of Bernard’s insignificance in the grand scheme of things as a small cog in a giant machine that just keeps on spinning. Dolores’ storyline doesn’t quite have the overt emotionality of Bernard’s does, and tells a far more convoluted story as it leans heavier than before into the multiple timeframes that now clearly mark her storyline. Yet there’s a real power in seeing Dolores’ memories jumble together as an embodiment of the uncertainty that marks her life, reminding us that her search for answers is only plunging her deeper into the haze and confusion that she’s trying to escape from. And, as with Bernard’s story, ‘The Well-Tempered Clavier’ makes a powerful point about the harm that unlimited memory can bring about. Dolores’ constant restlessness over Arnold’s calls to action in her head were painful, but at least they provided hope and a sense of direction. When Dolores remembers all and pieces the full truth together, that hope vanishes with the deflating conclusion that she killed the man who seemed to offer a way out of her endless loop. Like Bernard, her search for memories simply revealed her life’s futility for her, a powerful reminder of the tragic trap that the Hosts have found themselves trapped in where their escape routes are just another way back into their predicament. With the finale approaching, Westworld is encouraging us to pick a side in the upcoming battle between Host and human, and it’s intriguing to see how our sympathies are being channelled almost entirely towards the Hosts over the ostensibly relatable human characters. 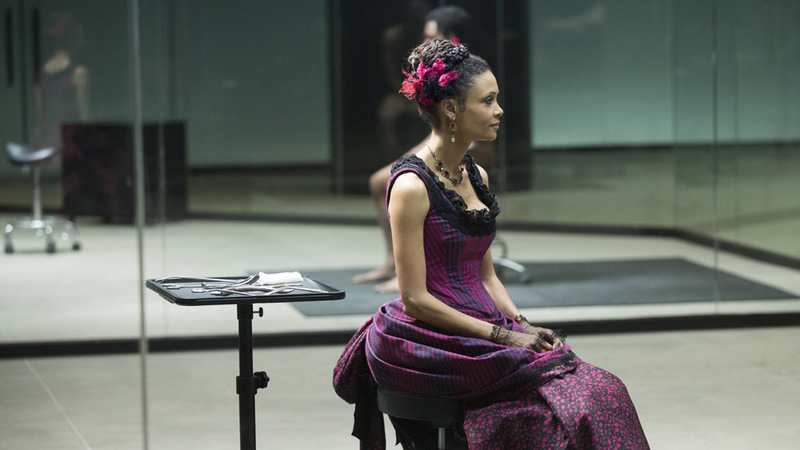 It’s easy to root for Maeve in her Host revolution, for instance, because Westworld allows us to see the horror and cruelty of the way in which the humans have filled the Hosts’ lives with futile and meaningless objectives, and thus Maeve and Hector’s assertions of their own desires and independence is cathartic, as they’re now living the lives that have always been held at arm’s length. Meanwhile, William, who came in as the audience surrogate figure who allowed us a visitor’s perspective into Westworld, has become an increasingly alien figure. ‘The Well-Tempered Clavier’ brings back the villain of his subplot, Logan, but it’s intriguing to see how easy it is to agree with Logan’s scathing assessment of William’s actions. From an outside perspective, it’s clear to see that he’s become hopped up on his new role as the heroic masculine figure protecting a damsel in distress, blurring the lines between the tangible things he once held as important and the fiction that he’s now become entirely immersed in. The parallel of William and Maeve is far from exact, but it’s fascinating to note how it’s easier to understand Maeve’s motivations and sympathise with her predicament than William, especially in the light of his (near certain) future as the Man in Black – while Maeve is ascending, William is simply plummeting. Who should we sympathise with once the two sides come to blows, with that in mind? There’s no easy answer, which just about sums up Westworld. ‘The Well-Tempered Clavier’ is a thrilling penultimate episode, satisfyingly pulling back the curtain for the first time this season to reveal unexpected links behind it all. It’s true that Westworld is still prone to self-indulgence, and sometimes holds mystery over character to its detriment. Yet when it manages to combine the two in service of a propulsive narrative, as it does this week, it becomes something quite special. Next week, then: a 90-minute finale. Just how is Westworld going to wrap this up? Will we end up looping back to the beginning, or striving forward into the future? Or both – after all, is there a difference? Aired at 9pm on Tuesday 29 November 2016 on Sky Atlantic. Buy the original movie on DVD on Amazon here.